While this still retains elements of uncertainty, since we have no idea if Darabont's work is going to be up to snuff, I think this approach is a step in the right direction. If there's one thing that has held The Walking Dead back in its abbreviated first season, it's been the ranging inconsistency of the writing from episode to episode. Tone, pacing, and story have all careened back and forth from one week to the next, and having all the writing filtered through a single person's sensibilities is a good way of addressing that problem. Of course, if Darabont's vision of the show isn't the one that people want to see, that's going to be a problem, but he's at least trying to think of a way to solve the up-and-down quality of the show. Despite that on-again-off-again inconsistency, I was expecting "TS-19" to be a quality episode. It is, after all, the season finale, and good show runners always save the best for last. 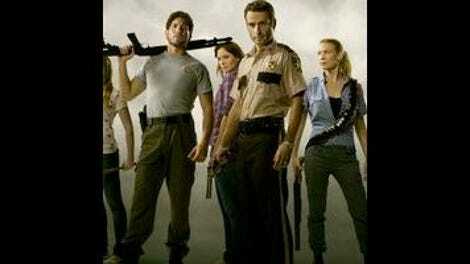 Even if he hadn't known the show would prove to be a big hit and get a quick season two renewal, Darabont and his crew should have wanted to end things with a bang, maybe even one loud enough to satisfy the frequently-heard complaint that this show has too much emotional process and too little zombie fighting action. I don't agree with that criticism; I like the quiet pace of the show, and although it's counter-intuitive to say that a series about the zombie apocalypse really isn't about zombies, that's the way it is. The Walking Dead, in its comic and TV form, is a story about people, and about how they deal with terrible trauma. It's understandable why some viewers might think they've been sold a bill of goods, and get frustrated at the relatively slow pace of undead attacks, but if the show goes the way I hope it will, such viewers will probably want to bail out now. Last week's episode, one of my favorites of the short run, ended on by far the season's biggest cliffhanger. "TS-19" picks up with a dynamite opening that should satisfy action fans for a bit: It's a pre-pilot flashback, with Shane in the hospital, not knowing what to do with a comatose Rick. He wants to help, but has no idea if he can even detach Rick from the machines he's plugged into; meanwhile, in the halls, soldiers are massacring civilians, blowing their heads off with very little regard for whether they're infected or not. They'll soon face their comeuppance at the hands of a new wave of the dead, but before that happens, Shane, who seems honestly to believe, after the power finally goes out, that Rick is really dead, pulls a gurney in front of the door in hopes it'll at least keep his friend from being devoured. Cut to the Center for Disease Control's open gates: Our band of survivors makes its cautious way in. The scientist from last episode, now identified with the curious name of Dr. Edwin Jenner, agrees to host them in exchange for a blood sample from each. He seems helpful, and does his best to charm the kids, but he's clearly not telling all he knows. Soon enough, though, the whole group is drinking wine, letting off steam, and relaxing for the first time in ages. Jenner is nervous, and both Shane and Rick pick up on it, but Shane is the first one to speak, less out of curiosity than a new chance to make it look like Rick's made a bad decision. Things are bad at the CDC (Jenner is alone, the rest of the staff having either fled or committed suicide), but it still seems better than the outside world, and the group is happy to sleep free from terror for once. 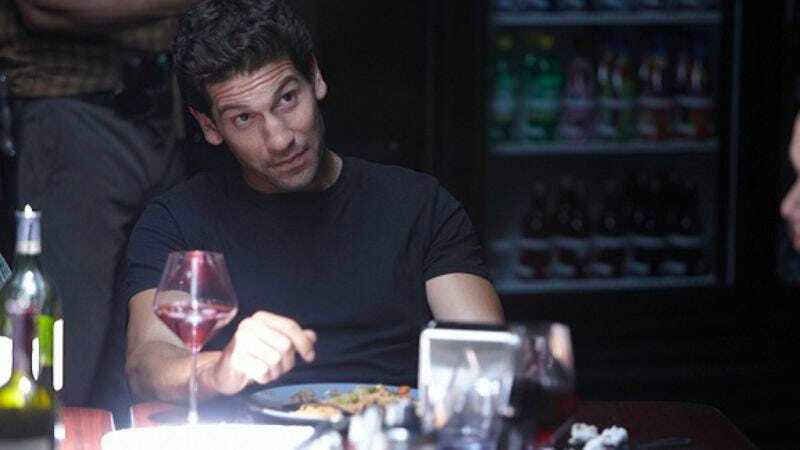 Later, Shane confronts Lori about his lie regarding Rick's death. He's in a morally difficult position; almost everything he's saying is true, and his motives have generally been above reproach, but the enormity of the situation, of everything slipping away from him, is beyond his limited ability to think through. He doesn't know how to cope with it and consequently does the worst thing possible: He gets grabby. Lori gives him a vicious shove-off before things get too ugly, but getting physical leads him to piss away any remaining goodwill from his actions up until Rick's return. The next morning, the group starts asking pointed questions of Dr. Jenner, and he reveals the meaning of the episode's title. Test Subject 19 was the victim of a zombie bite, and submitted to a brain scan during his dying hour. We learn that reanimation after death takes only a few hours, and that it revives only the lizard part of the brain. All higher functions are lost. But more importantly, we learn that Jenner hasn't managed to isolate a cause, is working in total isolation, and has a clock ticking down to when the generators stop producing juice and the whole facility is "decontaminated," which we learned last time out means flash-fried. Most everyone flips out at the idea of being incinerated; even the seemingly hopeless nature of the situation seems better than just sitting around and letting yourself get burnt to crisp. At least, that's what most people think; Jacqui decides to stay behind, as does Andrea until Dale calls her bluff. Before they manage to escape (with a little help from our old friend, the grenade! ), Dr. Jenner reveals two things: First, that Test Subject 19 was his wife, and second … well, we're not privileged to know. After telling Rick that he'll someday regret the decision to prolong his life, he whispers something in his ear and then it's all over but some perfunctory zombie-killing and an escape from the raging inferno that is the CDC, to the tune of Bob Dylan's "Tomorrow Is A Long Time." There was some good stuff in this episode; a lot of character notes were hit just right, Shane's hopeless situation was made emotionally deeper, and the opening flashback was fantastic. Overall, though, it left me a bit cold. The fact that almost all the scenes played out in dark, closed quarters wasted The Walking Dead's gorgeous cinematography; the pacing was again off beat, with far too much padded scenes of people looking at one another in shock; and, though I'm usually not bothered by plot contrivances, there's no way anyone in a vehicle that close to such a huge explosion would have lived through it. Beyond that, it didn't even serve to advance the plot that much; we learned precious little about the nature of the zombie plague, other than it's spread everywhere, which we already pretty much suspected. Losing Dr. Jenner was a drag, since Noah Emmerich brought some acting chops the cast really needed, but Jacqui's death just generated a shrug, since we didn't know much about her to begin with. Even the character notes, satisfying as they were, didn't contribute much to moving the story ahead; Lori and Shane were the only ones who left the CDC having changed at all. (I suppose you could argue that the relationship between Dale and Andrea deepened as well, but it was so quick that it seemed a little perfunctory.) A season finale, as I said, needs to pull out all the stops, pile on the emotional punches as well as the action, and "TS-19" didn't really do that. It wasn't a terrible episode, but it certainly didn't feel like a season finale; it seemed like something we should have seen one or two shows ago in the process of building to the season finale. That said, I return to my statement of last week: I don't think we'll really be able to judge this show fairly until it gets the time to stretch in its 13-episode second season. "TS-19" didn't satisfy me as a season finale, but I'm still very much into The Walking Dead, and I look forward to picking up from here with all of you next year. "What do you want?" "A chance." "That's asking an awful lot these days." Once again, we find how important hot water is to our group. Simple things take on vast importance when you can't have them anymore. Noah Emmerich was a good addition to the cast. He has a nervous intensity that grounded every scene he was in, which this show needs. That said, I didn't give a lot of credit to the Lost comparisons last week, but this week laid them on pretty thick, from Emmerich's character's winking name (so similar to smallpox vaccine pioneer Dr. Edward Jenner) to his Lost-like reluctance to give people simple answers when asked a simple question. I'm glad that they finally got around to using that damn grenade, but the scene where Carol finds it in her purse and says something like 'Hey, I found this when I was doing your laundry, do you think maybe it'll help?' was remarkably clunky. Okay, so, speculate! What did Jenner whisper to Rick?